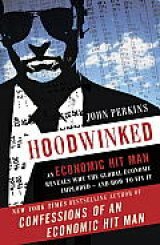 The review that follows of the new paperback edition of "Hoodwinked: An Economic Hit Man Reveals Why the Global Economy Imploded -- and How to Fix It" (Crown Business, 256 pages, $14.00, pub date Nov. 1) by John Perkins is essentially the same as my Nov. 28, 2009 review (link:http://archives.huntingtonnews.net/columns/091201-kinchen-columnsbookreview.html) of the 2009 hardback edition (Broadway Business, 256 pages, $23.99) because Perkins says there has been no systemic change in the "corporatocracy" -- those few corporations that control the vast amounts of capital, land, resources around the globe -- and the politicians they manipulate. Think John Francis "Neutron Jack" Welch of General Electric, who downsized his company while enjoying a gigantic paycheck and a platinum retirement plan. He got his nickname because --- like a neutron bomb -- he got rid of workers but saved the buildings. His successor as GE's CEO, Jeffrey Immelt, is carrying on the tradition, outsourcing a profitable, job-rich Wisconsin-based medical imaging unit to China. Naturally, Immelt is the kind of guy President Obama would pick for his jobs retention panel. Welch enjoys a prime place in Perkins' Business Hall of Shame, but he's not the only one there: Sam Walton of Walmart, whose chain provides limited or no health care for its employees, in contrast to others like Costco; L. Dennis Kozlowski, born in Newark, NJ in 1946, he of the champagne peeing statue and $6,000 shower curtains, whose Tyco International conglomerate had a couple of companies based in Perkins' home state of New Hampshire; Bill Gates, co-founder (with Paul Allen) of Microsoft, a "centibillionaire" because his wealth exceeds $100 billion, whose Bill and Melinda Gates Foundation has been criticized for investing "its endowment in companies that are accused of contributing to poverty in the very Third World countries where the foundation's stated goal is to eliminate poverty." (Page 78). In his update -- called the "Prelude" -- to the paperback edition -- much has changed, but one thing has stayed the same: the conclusions and call for action outlined below are the same. The Occupy Wall Street and similar movements around the country amount to "externalities" --basically irrelevant sideshows -- to the "corporatocracy," which has survived bombings on Wall Street almost a century ago; attacks by noted muckrakers like Lincoln Steffens and Ida Tarbell; and legislation like the 1933 Glass-Steagall Act (later largely repealed in 1999 at the behest of Clinton's Treasury Secretary (and Wall Street "macher") Robert Rubin. "This too shall pass" seems to be the mantra of the leaders of the corporatocracy. In his update, Perkins says "a mutant, viral, and extremely dangerous form of capitalism has thrived under the ever-increasing powers of Wall Street, Big Business, and a government that supports them (in other words, under the continuing reign of the corporatocracy)." Perkins adds that "The economic system advocated by Milton Friedman and the Chicago School of Economics in the 1970s, back when I was an economic hit man, has been embraced by every U.S. president and most of the other "Developed Country" leaders since. It has proven to be an abysmal failure. The fact that less than 5 percent of the world's population lives in the United States and consumes more than 25 percent of its resources while about half the rest [of the world's population] are either starving or threatened with starvation is a terrible indictment against this virus known as predatory capitalism. Self-described former "Economic Hit Man" John Perkins said the birth of his grandson Grant Ethan Miller in 2007 was the inspiration for his new book "Hoodwinked: An Economic Hit Man Reveals Why the World Financial Markets Imploded -- and What We Need to Do to Remake Them." Author of the 2004's best-selling "Confessions of an Economic Hit Man," Perkins has experienced today’s economic collapse before. The banking industry and sub-prime mortgage fiascos, the rising tide of unemployment, and the shuttering of businesses are all too familiar in the Third World countries where he worked. He was both an observer and a perpetrator of events that have now sent the US – in fact the entire planet –- spiraling toward disaster. "We hold the power," he says, "if only we recognize it." "Hoodwinked" is a powerful polemic that shows not only how we arrived at this precarious point in our history but also what we must do to stop the global tailspin. Perkins, who was chief economist for the Boston engineering and consulting firm of Chas. T. Main from 1971-1981, says the real cause of our global financial meltdown is predatory capitalism -– the mutant form of an economic system that encourages widespread exploitation of the few to benefit a small number of already very wealthy people. A new geopolitics has emerged; today the CEOs of big corporations, rather than governments, control human and natural resources around the globe, as well as politicians and the media. Their arrogance, gluttony, and mismanagement have brought us to the perilous edge. The solutions will not be “return to normal ones”. The solutions might seen naive to some, but Perkins says we can create a healthy economy that will encourage businesses to act responsibly, not only in the interests of their shareholders and corporate partners (and the lobbyists they have in their pockets), but in the interests of their employees, their customers, the environment, and society at large. We can create a society that fosters a just, sustainable, and safe world for us and our children. Each one of us makes these choices every day, in ways that are clearly spelled out in this book. Perkins is far from alone when he calls the U.S. the world's only non-banana producing banana republic, a country that has outsourced its once powerful manufacturing base to the point where hardly anything is manufactured in the U.S.
“Remember: The last recession ended in November 2001, but job losses continued for more than a year and half until June of 2003; ditto for the 1990-91 recession,” writes Roubini. Roubini, who was an economic adviser in the Clinton administration, says the long-term outlook for workers and is even worse than current job loss numbers suggest. As a way of sharing the pain, many firms are telling their workers to reduce hours, take furloughs and agree to lower wages. 1. Adopt attitudes that encourage good stewardship. We must stop idolizing people like Jack Welch (former CEO of General Electric, known as "Neutron Jack" for his massive downsizing) and Donald Trump and send the message that we want leaders who look beyond profits to provide goods and services that foster a better world. 2. Create a new economy. The world is full of junk no one needs. Ten countries in Latin America have in the past decade voted in new presidents who have opened the door to a new economy. They are showing the rest of us a way to combine a form of capitalism that produces things the world truly needs with the goal of making profits while creating a sustainable world. 3. Accept consumer responsibility. Paying more for products made by companies that are socially and environmentally responsible is always an investment in the future. If you can't afford the socially responsible product, "at least be conscious that you're foregoing an investment. .....make a commitment to yourself that when you can afford it, you will do the smart thing...that is best for everyone over the long term. 4. Implement new rules for business and government. If we are serious about changing the current situation, we have no choice but to set up rules and regulations that prevent us from engaging in activities that melt the glaciers, pollute the oceans and fill the air with toxins. We cannot afford to be lulled into complacency or allow indicators of "good news" like temporary increases in the stock market, lower oil prices into believing that things have returned us to "normal." Remember, "normal" is what led us into this disaster. 5. Honor our individual passions. 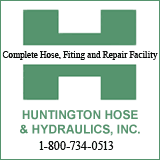 Whether you are a carpenter, dentist, plumber, housewife or something else, you can talk to your friends, family and clients about the issues, join organizations that represent your passions, send emails, use materials that are environmentally and socially responsible, support politicians who take actions oriented toward future generations and vote in the marketplace for companies committed to doing the right thing. John Perkins wrote the 2004 bestselling "Confessions of an Economic Hit Man" and a former chief economist of Chas.T. Main & Co. He advised the World Bank, the UN, the International Monetary Fund (IMF) and the U.S. Treasury Department, as well as many countries around the world. In partial penance for his economic sins, he formed Dream Change and the Pachamama Alliance, and other nonprofit organizations that are committed to creating a sustainable, just, and peaceful world. 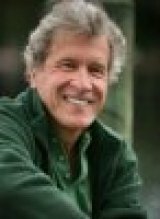 For more information, Perkins suggests logging on to his web site: www.JohnPerkins.org.